They don’t scratch the surfaces of your pots and pans, make less noise, and don’t heat up causing you to burn yourself. maybe that's just me. And the blogger in me loves that they look better in photos. They look AMAZING in photos! I have recently started using wooden utensils more than the others. But wooden spoons and cutting boards require a little special care. You can’t clean them the same way you do the others. While it is not recommended that you put them in the dishwasher, don’t let that deter you. Because they are really not hard to take care of. In case you are like me and were oblivious to the care needed for wooden utensils, I wanna help you. Fill the sink with hot water with a few drops, literally not much, liquid dish soap. Put utensils in the water. Using your hands, rub the spoons to remove residue and food particles.If needed, use a dishcloth to wash clean. Rinse the spoons thoroughly under warm water. Air dry or dry with a towel if needed. Wood is different from metal in that it can absorb some of the juices and things from food. 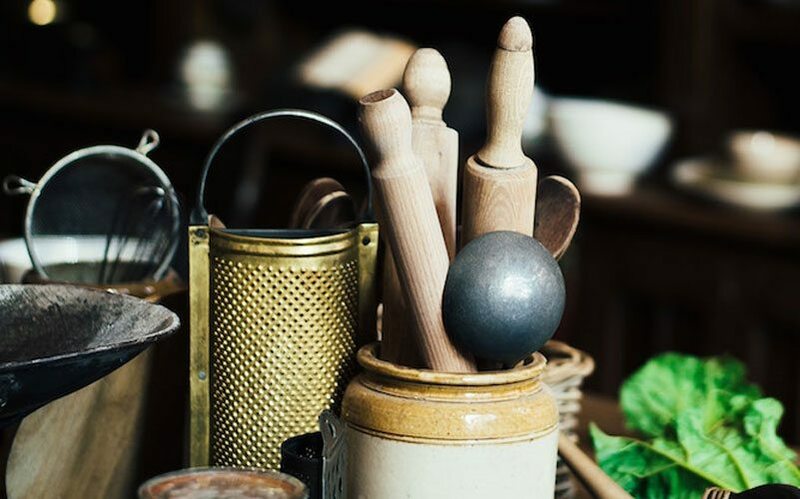 Because bacteria and things can present itself, it’s a good idea to also sanitize your wooden utensils. After cleaning your utensils lay them on a flat surface that is easy to clean. Pour hydrogen peroxide over them and let them sit. After ten to fifteen minutes, rinse the spoons off and allow them to dry. Because dry wood is absorbent, it is also a good idea to oil your wooden utensils. Oiling them occasionally moisturizes the wood and helps to keep clean. 1. Rub your spoons with mineral noting that a little goes a long way. Mineral oil is preferred as it has an infinite shelf life and won’t go rancid. And it will also keep the wood from being greasy because it is easily absorbed. 2. You can use your hands or a soft white cloth. 3. The oil will prolong the life of the utensil. 4. Hang the utensils to dry after oiling. Do not use the spoons until they have fully dried. Now that you have full knowledge of how to take care of your wooden utensils, go use them to make something delicious!